Wie lässt sich Kollokationskompetenz evaluieren? 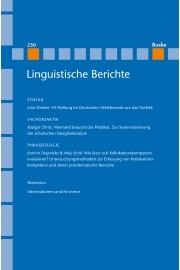 The objective of this paper is to highlight problems connected with assessment of collocational competence in teaching German as a foreign language as well as their possible solutions. We begin with a description of the notion of collocation from the teaching perspective and list its most important features. Then we discuss the ways in which collocation competence has been assessed. Selected empirical studies are presented with the focus on the employed methodology. Then a discussion of their methodological value follows. 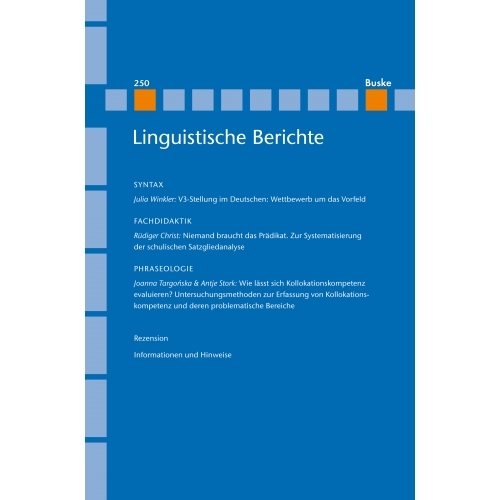 In the next part of the paper we turn to an account of possible analytical tools for studying all three components of collocational competence and propose two alternative methods which allow to assess it during formal courses of a foreign language. Finally, we present our conclusions concerning the possibility of collocational competence assessment.